The dimensions of the poster should not exceed 90cm wide x 120cm high. It is recommended that posters be prepared on one sheet. 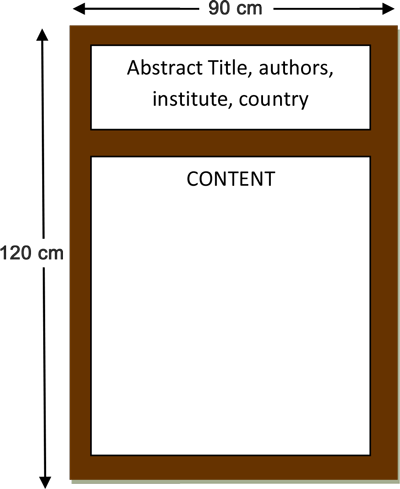 Alternatively, presenters may display their material on several smaller sheets. DO NOT use nails, push pins, screws, or any tools that will puncture the poster boards. Please refer to the Final Programme book that you will receive upon arrival at the Congress for the poster board number assigned to you. Please use the board that displays the board number assigned to you. If you have any further queries regarding your abstract or the Scientific Programme, please contact asvac2017@kenes.com.